Drugs and Clients is written for people who are studying or practicing the art of psychotherapy, particularly Marriage and Family Therapists, Clinical Social Workers, nurses, graduate students, school counselors, and psychologists, all of whom have a need to know how prescription psychoactive medications and other mind-altering drugs, both legal and illegal, affect their clients. to be able to discuss with their clients, in a knowledgeable and unbiased way, the clients’ options for taking medications and the affects of any non-prescription psychoactive drugs that a client may be taking. She has been teaching psychopharmacology to graduate students for many years, and has written Drugs and Clients, not only as a guide to practicing therapists, but also as a textbook for her own classes and for other educators who are teaching this increasingly important subject. Drugs and Clients is also available at Amazon and Barnes and Noble and other online retailers. 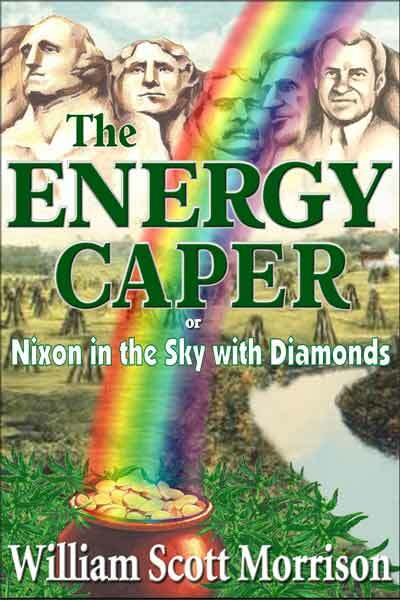 In a world where there was no Vietnam war, a band of idealistic boomers and a "good" Richard Nixon fight to make America energy independent. Copyright © 2019 Castalia Communications. Powered by WordPress and Blog Start.